Domain Privacy Protection but Still Expose Registrant Information ? Domain privacy protection service costs extra money compared to domain renewal fee to “hide” registrant’s information so that private information could be protected due to security handling. If people want to create website, they have to buy domain name at present (We do not have new technology to create website without a domain name, otherwise you will have to tell everybody your website’s IP address, but sometimes your IP address keeps changing). However, our domain name registrant information are public by default, everybody can see your private information using Whois service. 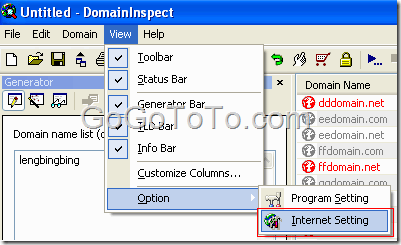 Why Does New Domain Name Server Not Work ? A Domain Name Server (DNS Server) is the role of converting the “www” format domain address to a numeric IP address of the target which the domain points to. For example, you input www.gogototo.com in your web browser, your internet routine will try to find out the name server of gogototo.com, and then the name server will give the target server which gogototo.com website is hosted on, so that you can view gogototo.com website. A real of domain routine is much more complicate than we descripted here, but it is not our major topic today. Godaddy is the world’s largest domain name registrar which might hold more than 61 million domain names due to reports. We have part of domain names are under their management. We did not have serious issue in passed 10+ years, so we are still using their domain name service. Godaddy sent us email annually to remind us renewing domains. so let’s see how the Godaddy domain name renewal process is in 2016. We have already some short DreamHost posts in this website since this website has been hosted on DreamHost longest time compared to it has been hosted on other Hosting services. We do have customer experience to share with other people which we know about DreamHost . Why GoGoToTo.com chose DreamHost ? GoGoToTo.com used several Hosting services before we moved to DreamHost, then we no more moved. It is hard to tell you exact reasons. DreamHost might not be the best hosting provider in this world, but it was the best hosting service to us at that time especially after we compared multiple hosting services, so might be it is the reason that we chose it and stay at on it. This post is for the potential buyer who has made an offer recently. I am the owner of xxEnglish dot com and I have received an email notification about your offer. Please note: This bid thread was initiated through our SedoMLS Partner GoDaddy. This partner is not supporting the display of comments at this point in time. Unfortunately this means you can’t enter a comment with your offer for this name. We apologize for the inconvenience, we are looking to add this feature in the future. Godaddy is still the top domain registrar website. Do you know what happens after your domain name expired ? Maybe you know, Godaddy will send you multiple emails to notice your domain expired. which is very nice, that is why I always choose Godaddy for registering domain name. Day 1 We make the first of three billing attempts to renew the domain name. If the billing fails, the domain name expires. The domain name can be renewed by the registrant at no extra cost. Normally, people know the domain for a website should has a extension, such as .com, .net, .ca… For expand domain resource ICANN (www.icann.org) developed the new generic Top-Level Domain Program to increase competition and choice by publishing new gTLDs into the internet’s address system. Currently there are total 1930 new domain extensions, you can view the list on ICANN site here. For conveniently searching, you can also visit this page. Apply a new domain extension is not cheap: application fee is $185,000 and there’s an annual fee of $25,000. However, there are lots of extensions name are applied by multiple companies, so now we don’t know who will be the winner for those extension. Recently Google AdSense Users received the email notify from Google AdSense: the AdSense for domains will be stopped soon. We’re contacting you because you’re using AdSense for Domains to monetize your undeveloped domains. After evaluating the benefits of our partner network, we’ve decided to retire the Hosted domains product within AdSense. Going forward, undeveloped domains will only be served through our existing AdSense for Domains distribution network. Please note that this upcoming change won’t affect any other AdSense products you’re currently using or the availability of other products to you. In addition, reporting on your Hosted domains will remain available throughout the schedule above and for a period following the retirement. For more information see the Help Center. We appreciate your understanding and thank you for your patience as we continue to develop new features and offerings within AdSense. 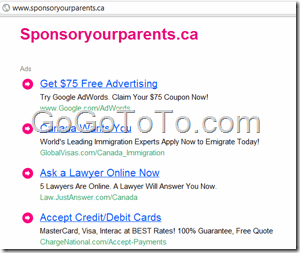 The domain name “sponsoryourparents.ca” dropped but caught by other person ? There was a group named “Sponsor Your Parents” in Canada, this group focus on helping people sponsor their parents to immigrant to Canada. They had a official website using sponsoryourparents.ca domain name, however, we found this domain name direct to a advertisement web page which let people click the advertise links to earn money. 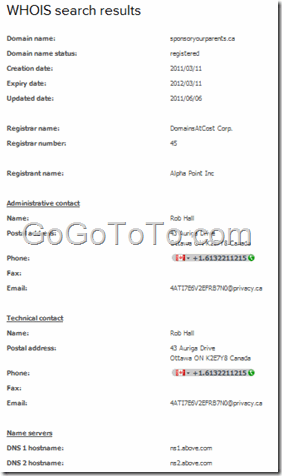 Seems the domain sponsoryourparents.ca dropped in 2011 but the group members did not recognized, then the domain caught by other people.